Injection Material	ABS, PP, PC, PP+GF, PA, PA+GF, PS, POM, PMMA, PC, etc. Steel of Cavity&Core According to products, suitable material would be suggested. Commonly used material are P20,NAK80,718,etc. 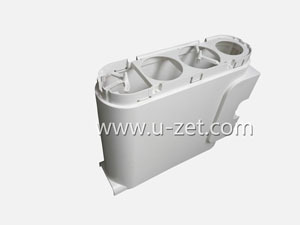 Steel of Mold Base	Depends on Product, we will help customer to choose the suitable material. Ejection system	According to Products. Commonly used : Angel pin, oil cylinder, motor,stripping plate, ejector pin, etc. Surface Treatment	According to Products. Commonly used: Texture Hatching, EDM Hatching, Polishing, Diamond Polishing,etc. Machine Center	CNC milling machine, CNC Lathing machine, EDM, NC milling & lathing machine, etc. R & D	the drawings for products and mold design could be offered. We can work with 2D/3D drawings or with provided samples. Production	Pilot Run Production and Molding Production. One stop supplier for plastic parts solutions including OEM/ODM. As one of custom plastic parts manufacturers, we aim to be one stop supplier for plastic parts solutions and exceed your expectations. Please contact us for more information regarding our full-range of capabilities.